Sharon Mikeworth was born and raised in South Carolina, where she still lives with her husband and children. After graduating from college, she worked as a computer programmer, instructor, and tutor. She began writing her first novel, Rose Wood, while visiting and researching an authentic Southern plantation. She now divides her time between her family and her writing. The Hum is a worldwide phenomenon heard by many, but understood by none. Reports of it have occurred all over the world over the past few decades. While most dismiss it as the "noise" of modern society, a few suspect that there's something more to this droning noise than can be explained by any earthly phenomenon. Lee is one of these people. He, like others, dismissed it by living near a noisy complex, but when he moved to the country and still heard it, he knew there was something more. This is further confirmed as he settles into his new home and finds strange occurrences and substantiation by another resident that this hum is more than it seems. Then the question is answered one fateful night when he decides to take a walk and find the source of this noise, once and for all. The Hum by Sharon Mikeworth takes us through Lee's tragic discovery and his journey to help the citizens of his small town, with a small group of other believers who understand the horrible truth that this noise isn't just in their heads - it's a threat to the human race. 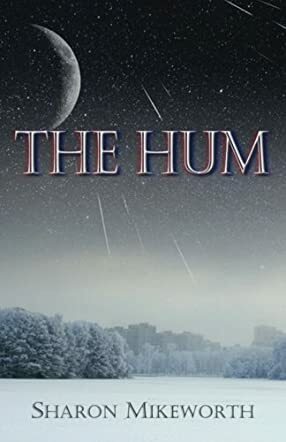 Sharon Mikeworth has created a masterful horror tale with The Hum. It's an exciting story with twists and turns that keep the reader "on their toes" and surprised by amazing discoveries. It's a different kind of horror tale that engages your imagination and surprises you with the possibilities that the world as you see it may not be all that exists. I thoroughly enjoyed this story. My only regret is that it took me a week to read it due to a busy schedule - I could easily have devoured this book if life didn't get in the way! The Hum is an excellent, suspenseful tale that keeps readers on the edge of their seat from start to finish.